Look in the Yellow Pages or online for Additions and Remodeling and you’ll find dozens of additions and remodeling contractors. However, if you’re looking for a contractor to handle additions and remodeling who provides quality, efficiency and a fair price, contact J.T. Glynn Construction. J.T. Glynn takes great pride in every additions and remodeling project they do. From extra rooms, an add-on garage, a new kitchen, bathroom, or family room – J.T. Glynn is the preferred contractor for additions and remodeling in central Massachusetts. To ensure that your job is done right –right from the start – it’s important to work with a skilled, experienced contractor such as J.T. Glynn Construction. The additions and remodeling experts at J.T. Glynn have the experience and expertise to manage your project from start to finish, making sure it gets done on time and on budget, with quality materials and superior craftsmanship. J.T. Glynn will coordinate and manage your entire additions and remodeling project – from permitting to site preparation, construction, clean-up, and inspection. 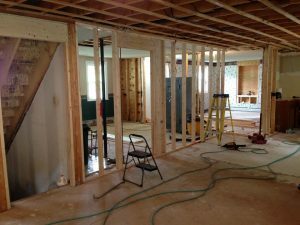 They are fully licensed and insured for all types of remodeling and additions excavating and construction — from clearing lots to digging and prep work for additions. J.T. Glynn Construction has extensive experience cutting and filling for sub-divisions, installing utility services, even designing and building ponds, aquascapes, and other outdoor living features. If you’re thinking about improving your home and adding functionality and value to it, consider remodeling and additions. Start by calling the additions and remodeling professionals at J.T. Glynn Construction for ideas and an estimate. J.T. Glynn Construction is the preferred choice for additions and remodeling.